What's better than looking at the Hollywood Sign? Hiking to it! There's nothing more iconic in LA than the Hollywood Sign. It's been featured pretty much in every form of media ever. There's something about the simplicity of it; they're just letters in the Hollywood Hills. Typography geeks probably can speak more to this, but the sans serif font with the interesting differences in alignment make for the very epitome of Hollywood movies and celebrities. In any sense, while the Hollywood Sign is immediately recognizable from afar, it's even more amazing up close. One of the most awesome ways to get close to it and have an awesome picture with it is to hike up to it! You can bask in the great sunny rays of LA and get some cardio in while you make the trek up the hill. Wondering what options you have here for hiking? Well, we're going to make it super easy. We're going to give you a very easy trail and a sorta medium trail. 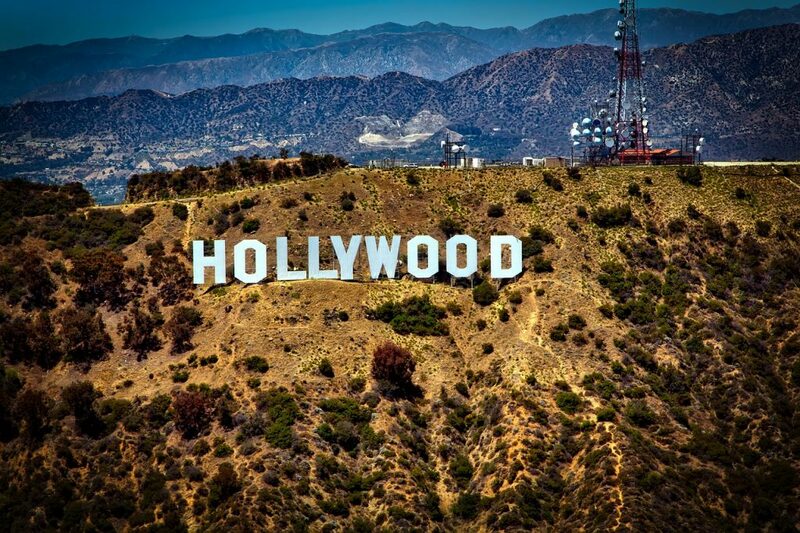 The super easy one will get you an awesome pic with the Hollywood sign (we'll show you examples). The sorta medium one will get you an awesome pic behind the Hollywood sign (again, we'll show examples). Let's start! For those looking for an EASY hike, then take the Mt. Hollywood Trail. This has a great view of the sign and has two starting points in Griffith Park; the shorter trail begins in Griffith Observatory's parking lot and is about three miles (not bad at all for hiking standards). The longer of the two begins on a fire road that intersects N. Vermont Canyon Road. Parking at both is definitely possible, but of course with more hikers it gets a little tougher. It might behoove you to arrive earlier (and plus it's way cooler in the mornings weather-wise). The Mt. Hollywood Trail also has an awesome start at the Charlie Turner Trailhead; you'll see signs around that'll lead you in the right direction. We mean, this is LA, not like the deep jungles of the Amazon or something. You're gonna want to do the Canyon Drive Trail which has incredible views of LA; THIS IS THE TRAIL YOU WANT if you want to end BEHIND the Hollywood sign. It's 6.5-miles and the elevation gain is about 1100 feet. Take lots of water with you and definitely make sure to put on some sunscreen beforehand. It's super awesome because you get to see an amazing view of DTLA as well as the other side--the very beautiful and slept on San Fernando Valley (SFV)! You get to be up close and personal with the sign too which is really cool. Pro tip from reader Jessica: while a lot of people do these hikes during the wee morning hours to cut down on heat and also to get a good look at the view, you should consider going at sunset because it'd be more unique of a view and would really create a beautiful look at DTLA and SFV with vivid colors. Consider it! There you have it—the two Hike to the Hollywood sign hikes that you gotta do before you think about other ones. Now go and get fit and get pics!